The ability of wearable devices to enhance the physical capabilities of the wearer is something that has progressed considerably in recent years. Early technologies were more akin to robotic exosuits that — while useful — were pretty clunky. A team from the University of Bristol’s Robotics Laboratory have produced something altogether more practical, yet no less useful to the wearer. The "Right Trousers" consist of several lightweight components that are designed to be as comfortable as possible to allow them to work in true partnership with the body. They’re designed to help vulnerable people avoid falls by giving them support as they walk. The trousers offer additional bionic strength to help the wearer move from a seated to standing position, and it also helps them to climb stairs. The garments are also designed to be as easy as possible to wear so that the user can dress as easily as they would with regular trousers. It cleverly changes size when you want to take it off and is able to react to the environment, thus providing a cooling function in summer and warming in winter. They believe that as people live longer lives, the ability to keep us active and independent for longer is going to be crucial, not only for maintaining a high quality of life but for helping health systems cope with this demographic change. “Unfortunately, we become less mobile with age and reach the point where mobility around the house becomes difficult. 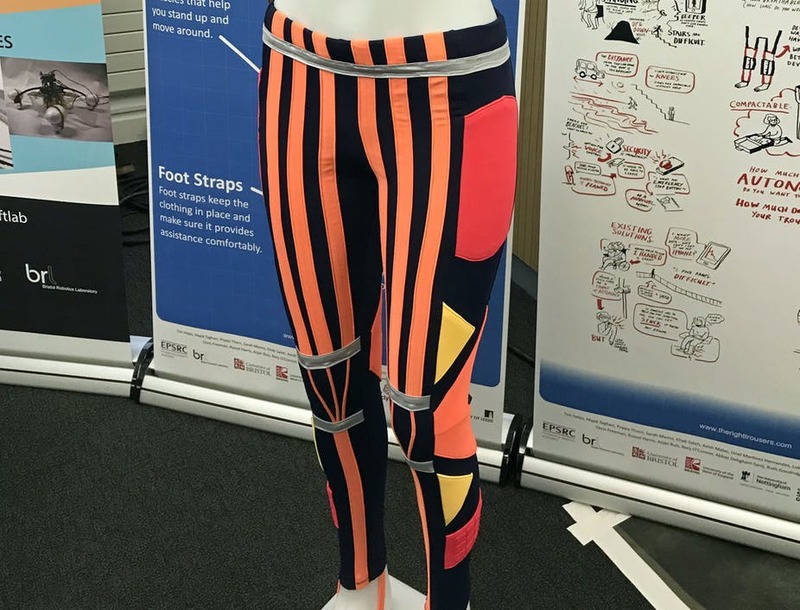 “The Right Trousers” is a pioneering project that will eventually enable people with mobility impairments, disabilities, and age-related weaknesses to live independently and with dignity,” they say.